History of XPX Partners. Strategic & financial advisory. 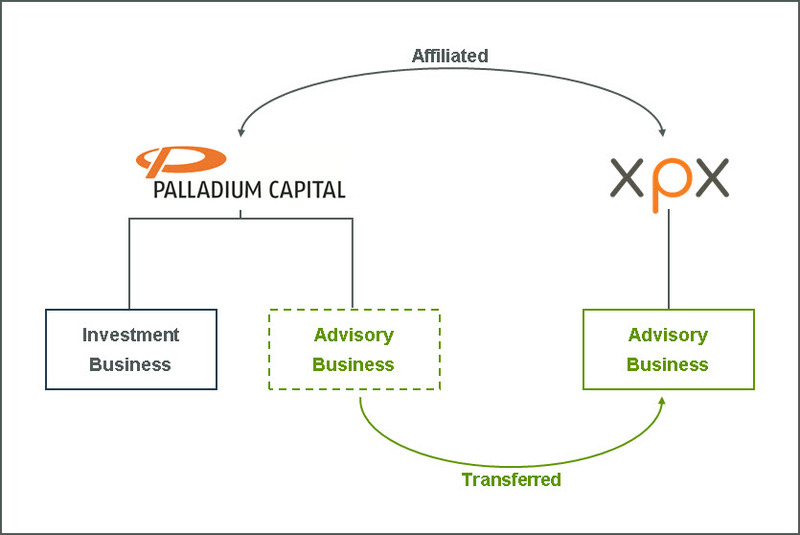 XPX Partners has been set up in February 2018 as a sister company to Palladium Capital, with the purpose of assuming and further developing its strategic & financial advisory business. Palladium Capital started trading in 2005 as an independent advisory firm with initial geographic focus on Central & Eastern Europe (CEE). Since 2010 the regional coverage has been broadened to Western Europe and beyond, including MENAT. In 2014 Palladium Capital started its investment activities which define the firm’s new focus as of 2018. XPX Partners takes over an advisory practice with 10+ years of track record and experience, including a seasoned advisory team and a deep international network. XPX Partners provides a global platform for value creation. Going forward the business is to expand geographically and through the engagement of additional senior, highly qualified executives.